Anyone who has ever driven past the hills that rise sharply here from the coast north of the Russian River outlet and wondered about the view from the top need wait little longer. On Friday, the gates to the Jenner Headlands Preserve will be open to the public, adding an open space larger than Trione-Annadel State Park to the mix of protected, accessible lands lining the scenic Sonoma Coast. The step marks the culmination of more than a decade of planning and development, and the preserve — set aside with public and private money — offers some of the most stunning vistas to be found north of the Golden Gate, with a full suite wildlife and natural habitat shielded in perpetuity from housing development. 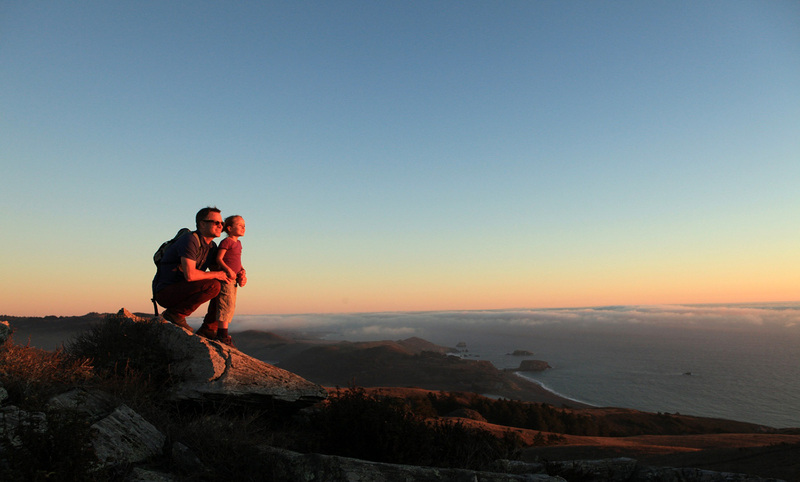 And the highest peak on the Sonoma Coast, 2,204-foot Pole Mountain, overlooks it all, beckoning to hikers up for a strenuous 15-mile round-trip trek with significant elevation gain. “The best of Sonoma County,” is how Neal Fishman describes it. Now a board member of the Sonoma Land Trust, which helped spearhead deals that protected the properties, he was formerly deputy executive officer of the California Coastal Conservancy, which provided funding toward the $36 million headlands purchase in 2009. The grand opening may be the most significant in a generation for hikers and other local nature enthusiasts in a region rich with opportunities to get out on the land. “It’s something that folks here in Sonoma County and beyond have been looking forward to for a long time,” said Dave Koehler, executive director of Sonoma Land Trust, the Santa Rosa-based nonprofit. 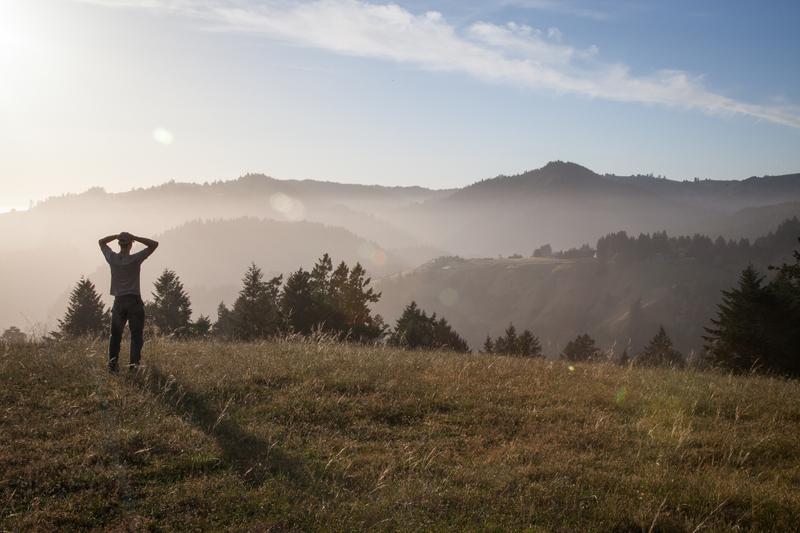 At 5,630 acres, the headlands property offers nearly 14 miles of trails across varied terrain that includes mixed conifer forest, coastal prairie and oak woodland. It spans more than 2.5 miles of the coast just north of the Russian River mouth, with steep hills that rise from the eastern side of Highway 1, giving visitors sweeping views of the ocean and coastline stretching south to Point Reyes National Seashore. 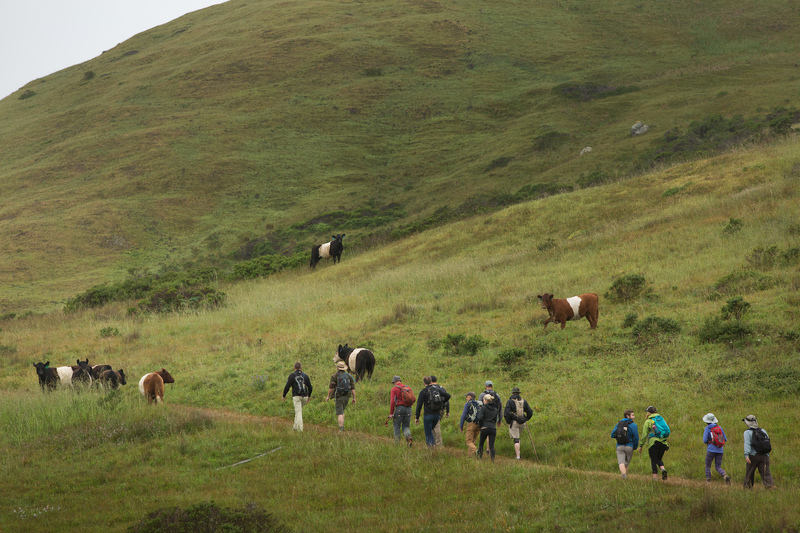 Its link with Pole Mountain, set aside in a 238-acre property purchased in 2014 by Sonoma Land Trust, offers hearty trekkers a chance to test their lungs and legs on a rare sea-to-peak climb. 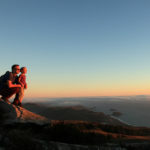 The mountaintop, with a working fire lookout, takes in 360-degree views reaching far across the North Bay — to Cobb Mountain in Lake County, Mount St. Helena in Napa County and Mount Diablo in Contra Costa County. 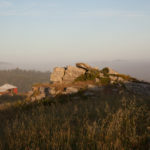 On days without fog, you can see the Farallon Islands 20 miles outside the Golden Gate, said Bill Keene, general manager of the Sonoma County Agricultural Preservation and Open Space District. The taxpayer-supported agency provided more than $9 million toward the headlands purchase, which remains the highest-dollar public land deal on record in Sonoma County. It was the crowning achievement of a public-private campaign that began in 2005 and involved 10 funding partners by the time the deal was completed four years later, at the height of the nation’s economic crisis. Held initially by the Sonoma Land Trust, the land was transferred in 2013 to the Southern California-based Wildlands Conservancy, which floated and guaranteed a combined $10.6 million in loans to close the sale at the 11th hour, according to those involved in the acquisition. The conservancy now manages the preserve. Other lenders for the deal included the Save the Redwoods League and the David and Lucile Packard Foundation. Additional funding came from the National Oceanic and Atmospheric Administration and U.S. Forest Service, totaling nearly $7 million; the Gordon and Betty Moore Foundation, at $4 million; and the state Coastal Conservancy and Wildlife Conservation Board, totaling $16 million. 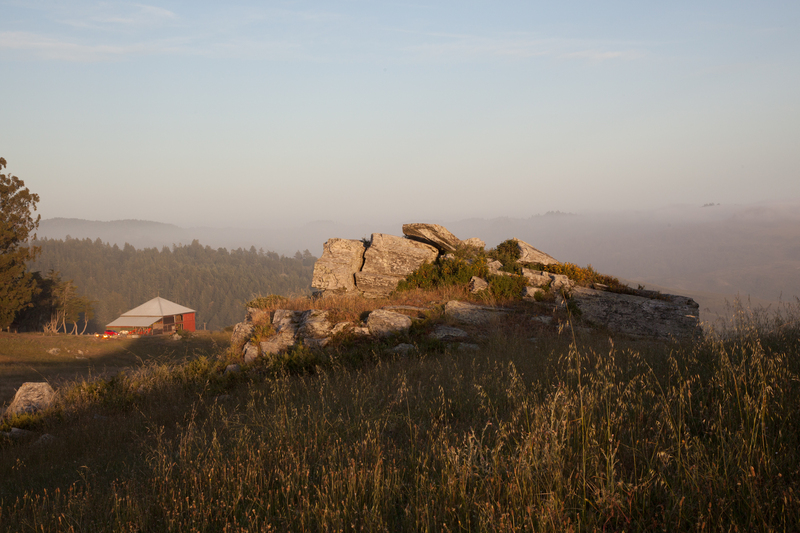 The subsequent $2.35 million purchase of Pole Mountain, extended the open space to the north and connected the headlands with another Sonoma Land Trust property, the 500-acre Little Black Mountain Preserve. The Pole Mountain deal included $1 million from the Open Space District, $650,000 from the California Wildlife Conservation Board, $350,000 from the state Coastal Conservancy and $350,000 from the David and Lucile Packard Foundation. The resulting expanse of contiguous open space is more than 6,300 acres — approaching half the size of Manhattan. The area was vulnerable to subdivision and development, particularly the headlands ranch, for which plans already had been drawn up, said Brook Edwards, preserve manager and regional director for the nonprofit Wildlands Conservancy. The Pole Mountain site also had been evaluated for vineyard development. After the acreage was acquired, the focus shifted to thinning overgrown forest, shoring up streambeds and other steps to assure preservation of native plant species. Public access was always in the plans, but it took years to figure out exactly how to incorporate such use on a sensitive coastal landscape subject to tighter regulations. The new public trailhead, a 6-acre gateway just off Highway 1, includes 34 parking spots in a split-level lot, a restroom, 400 feet of wheelchair-accessible pathway, a scenic overlook and day-use area designed to blend in with the scenery. It features a complex drainage system of bioswales, an infiltration pond, and dozens of pipes buried in the hillside to prevent runoff and erosion. Native plants were put in to soften the effects of the infrastructure and rock quarried from the site has been used to try to mask the restroom, which is dug into the side of the hill. It has a living roof that should sprout plans once rain arrives, Edwards said. From the day-use area, looping trails lead to places such as Raptor Ridge, Hawk Hill and Sentinel Point, located above Highway 1, where a permanent telescope has been installed for whale-watching and other uses. The trail system is part of the California Coastal Trail, an envisioned 1,200-mile ribbon of pathways along the length of the state, within sight, sound and scent of the ocean. The demanding Sea to Sky Trail leads to Pole Mountain offers what it advertises: a taxing 15-mile round-trip hike with no water along the way. 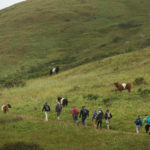 Intrepid hikers should start early and be prepared, advised Sonoma Land Trust spokeswoman Sheri Cardo.